Interesting & fun things about farming. 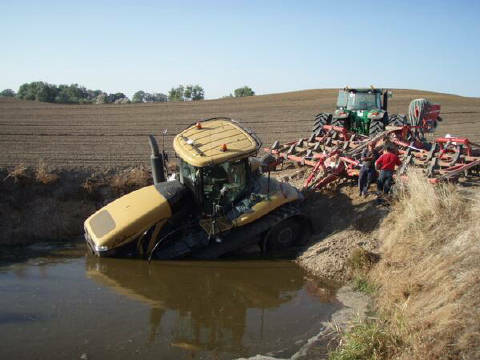 Just wondering, was the tractor thirsty, over heating and wanted a swim. Or was the driver a rice grower and just cultivating in preparation to plant rice? Man, the only dam in 10,000 acres and you had to find it the first day! That new fangled GPS was to blame!